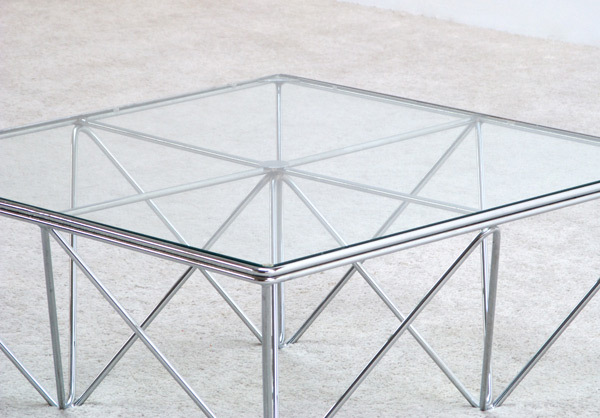 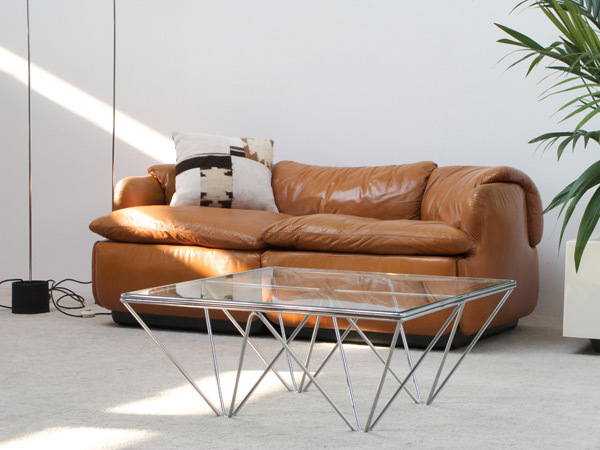 Square chrome coffee table 'Alanda' designed by Paolo Piva for B&B Italia, 1981. 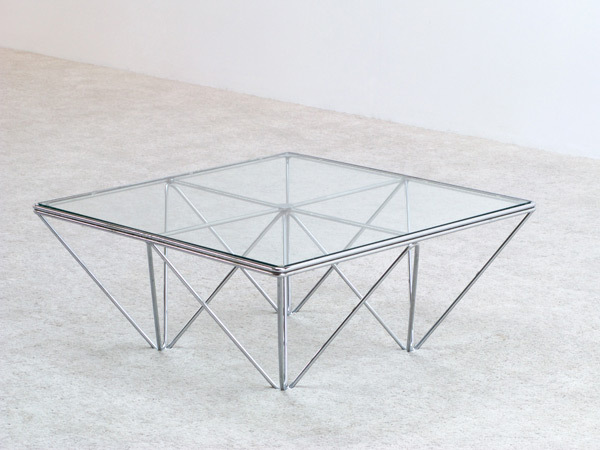 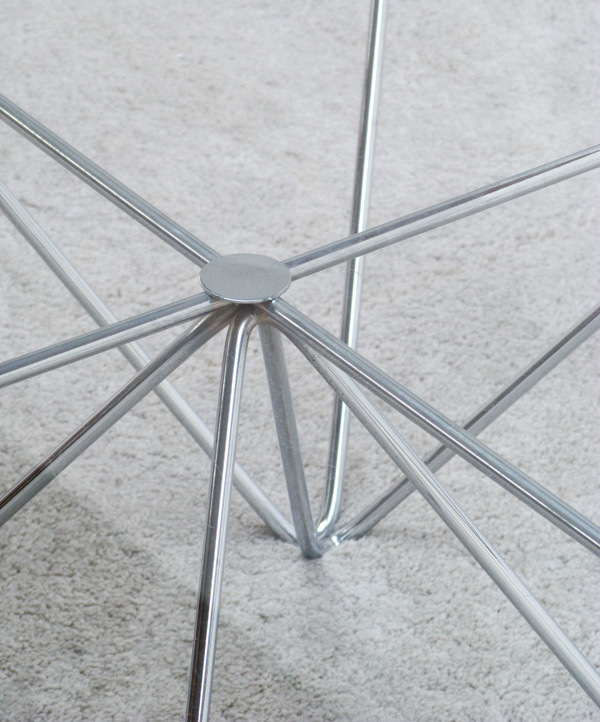 Chromed steel structure with glass table top. 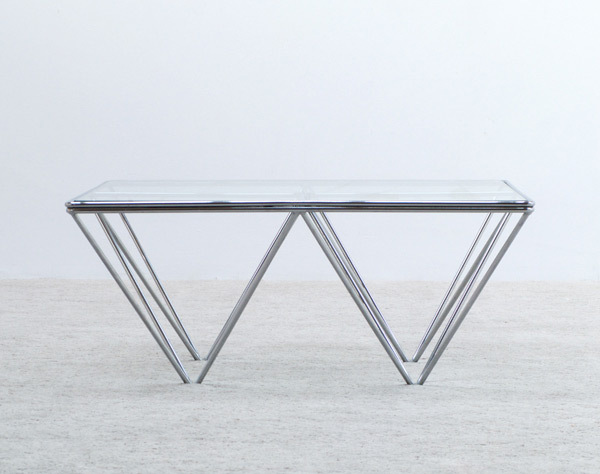 Table de salon carre en chrome 'Alanda' conçu par Paolo Piva pour B&B Italie, 1981. 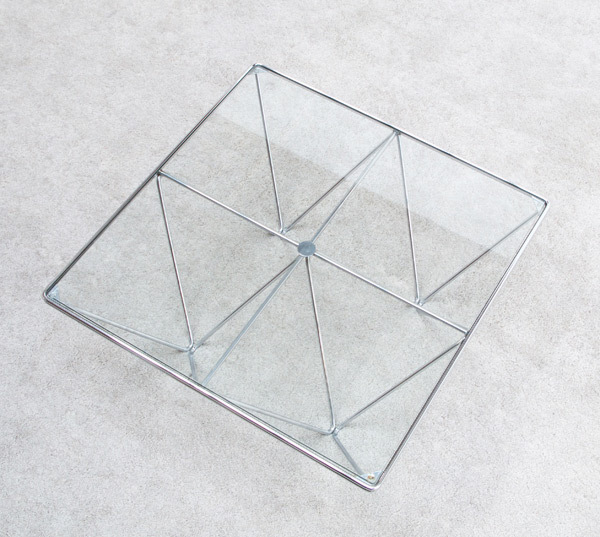 Structure en chrome et tablette en verre.